Kuflink is a peer-to-peer property investment platform that brings borrowers and investors together. Our borrowers seek quick access to short-term finance that a high street bank would be unable to deliver, and our investors seek competitive interest that beats the typical rates offered with regular savings and current accounts. Investing in property has previously been reserved for the very wealthy, with the money and means to put significant sums towards developments. The fintech revolution, however, has opened up a wide range of opportunities to retail investors who want to make meaningful returns on their cash, and in turn, opened up borrowing opportunities for a range of projects that would previously be denied such quick access to loans. Kuflink has built a peer-to-peer platform in this emerging space to give retail investors the opportunities that were previously only available to high net worth individuals and institutional investors. In doing so, it also offers developers bridging loans to fund projects across the UK. Since our launch of the p2p platform in 2016, Kuflink lenders have invested over 17 million GBP, with 0.00 GBP losses to date. Firstly, investors are offered high rates of return associated with property investments, which due to the nature of the property market are often very secure and predictable. In this age of mass-market retail investment, property opportunities have one of the longest track records, as people have been investing in property for hundreds of years, and long before technological advancements allowed us to build an accessible P2P platform. A second main advantage for investors is that Kuflink has a highly effective due diligence procedure with an exceptional track record. We’re so confident in our vetting of loan requests that we cover the first 20% of losses in each individual opportunity on the platform. We really believe in each loan, and investors can be confident in all opportunities, as like them, we trust the platform with our own funds at risk. Thirdly, investors are only offered access to the very best opportunities, as Kuflink only approves around 30% of loan applications. This gives lenders peace of mind that their investment is very likely to be successful. We have been providing bridging and development loans since 2011 of up to 1 million GBP, and our lenders have invested over 17 million GBP in just under 2 years, proving highly advantageous for our borrowers. Firstly, Kuflink gives property professionals highly competitive rates on development loans. Many of these highly secure projects may not otherwise find funding, as Kuflink’s due diligence process filters highly promising opportunities that others may incorrectly deem inappropriate. Secondly, borrowers can access a huge number of investors through the p2p platform, and are provided with a highly regulated means of crowdfunding their projects. This allows developers to work on projects that people really want, and can help to build strong community relationships between loan backers and project managers, leading to increased opportunities for future project funding. Finally, Kuflink’s on hand customer service team is highly responsive to any queries or difficulties with loans, and can offer instant advice and support in the event of any difficulties. What ROI can investors expect? There are multiple ways for investors to lend their money with Kuflink, and each of these carries different estimated ROI. Using the Auto-Invest feature, the platform will automatically diversify investors’ funds, and can offer up to 5.35% interest pa gross*. Investors can also choose to invest in certain opportunities to have more control over their portfolio. This is through Kuflink’s Select-Invest feature, which can offer up to 7.2% interest pa gross* over shorter periods of time. Finally, our IF-ISA offering also allows investors up to 5.35% interest pa*, with a £20,000 tax-free allowance for 2018/19. You are advertising “investors never lost a penny”. At a future point in time defaults will happen. What is the procedure for dealing with these and what overall unrecoverable rate of debts do you expect? In the case of defaults, we instruct an insolvency practitioner to recover funds, however we expect our excellent track record to continue and hope we won’t need to act upon this in the future. The platform has been developed by our CTO, Hari Ramamurthy, alongside in-house front and back-end developers to ensure the technology seamlessly compliments our P2P offering. Since our launch in 2016, the platform has been operating smoothly, while undergoing continuous updates and improvements. Our in-house technical team can respond immediately to any borrower or lender issues with the software. How is the company financed? Is it profitable? The Kuflink platform as it stands today has evolved from alpha bridging, which provided the funds for the launch of Kuflink Bridging, which hosted the initial P2P offering. Kuflink’s model, as with many P2P platforms, is to take a small cut from each transaction, and currently runs at a profit. What were the main challenges when launching your platform? One of the main challenges we have had to face is inter-departmental integration. With so many moving parts across different disciplines, from property due diligence experts, to finance and tech experts, making sure there are good lines of communication and correct pathways in place have been essential to our successful operation. You offer an Innovative Finance ISA with tax advantages. Can you please provide some absolute numbers on how many UK investors have invested into this? And are there more new subscriptions or more transfers in of existing ISAs? We currently have many IF-ISA account holders who have so far made significant investments. There has been a large influx of transfers in from other ISA providers from both new and existing Kuflink account holders, however we cannot comment on the exact number of account holders or investment value as these figures are commercially sensitive. Is Kuflink open to international investors? Our platform is open and accessible to overseas investors with a UK residency and a UK bank account. Which marketing channels do you use to attract investors and borrowers? We use a variety of marketing channels, from online advertising, to PR and even major sponsorship deals such as our partnership with Ebbsfleet United Football Club and their Kuflink Stadium. What factors do you see impacting the British property market in the near future? Brexit is of course a big issue that could potentially impact property in the UK, with an air of uncertainty surrounding the future of the market. Although we expect this to have a somewhat adverse effect on the markets, we believe that UK property will continue to be an attractive area of growth and investment, and should be relatively robust to any larger market perturbations. Where do you see Kuflink in 3 years? We currently have [a] positive outlook for the next three years, even in the face of uncertainty in the marketplace. Our trends show that there is a steady increase in loan applications alongside growing demand from investors for lending opportunities. We also have plans to continue the work reinvigorating local communities around Gravesend and across the UK through the Kuflink Foundation. We hope to expand our charity and community work, which currently includes sponsorship of Ebbsfleet United, work with Kent County Council, and charities such as Age UK. You have one wish, that the regulator would fulfil. What is your wish? We work very closely alongside the regulator and are satisfied by their requirements. Our platform is fully functional within the current rules, and we find that these are more than sufficient for our platform to run smoothly, fairly, and profitably. 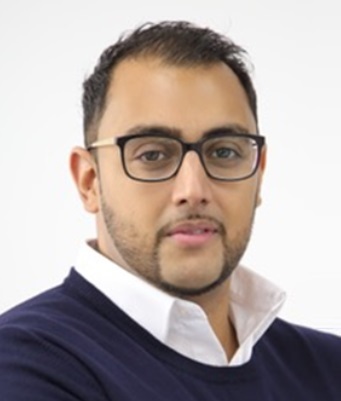 P2P-Banking.com thanks Narinder Khattoare for the interview. Shame this article is published 1 day after the biggest PR screwup that.a platform could make. I refer to the removal of the 20% skin in the game to be replaced by some wooly promise ofva provision fund the terms of which are not yet published and the platform rep insists that the product is no worse for investors. For what it is worth, the interview was conducted before Kuflink announced the changes to its skin in the game policy yesterday.